Engler Roofing & Siding Corp. is a second generation family owned business. 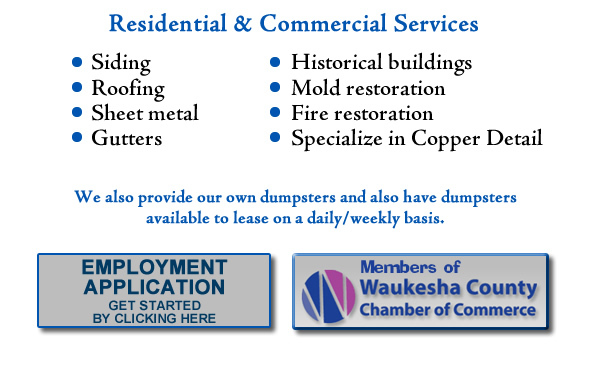 We have been serving the Waukesha areas since 1942. All work will be performed in a professional manner by experienced roofing-sheet metal personnel familiar with this scope of work in accordance with OSHA-ASTM standards in the industry. Our employees are covered by Workman’s Compensation-Public Liability-Property Damage Insurance while working on your project. Engler Roofing & Siding Corp.
© Engler Roofing and Siding. All rights reserved.